Jon Stewart hasn't said much about quitting "The Daily Show" -- until now. In an interview with The Guardian newspaper, Stewart said he's been enjoying his hosting duties less and less and feeling more pessimistic about the subjects of the show -- politics and the news media. "It's not like I thought the show wasn't working any more, or that I didn't know how to do it," he said. "It was more, 'Yup, it's working. But I'm not getting the same satisfaction.'" Stewart added: "These things are cyclical. You have moments of dissatisfaction, and then you come out of it and it's OK. But the cycles become longer and maybe more entrenched, and that's when you realize, 'OK, I'm on the back side of it now.'" When he announced his departure to a stunned audience back in February, Stewart hinted at his fatigue: "This show doesn't deserve an even slightly restless host and neither do you." He elaborated in the Guardian interview. Retirement from "The Daily Show" had been "in the back of my head for quite some time," he told interviewer Hadley Freeman. Related: Did Comedy Central let its 3 biggest stars slip away? Although Stewart would like to make more films, according to the newspaper, his decision wasn't directly related to his directorial debut last fall, a drama titled "Rosewater." "Honestly, it was a combination of the limitations of my brain and a format that is geared towards following an increasingly redundant process, which is our political process," Stewart said. "I was just thinking, 'Are there other ways to skin this cat?' And, beyond that, it would be nice to be home when my little elves get home from school, occasionally." Last month, Comedy Central named Stewart's successor, the 31-year-old South African comedian Trevor Noah. It sounds like Stewart wanted to step down early in the presidential election cycle to give Noah a big story to tackle. Stewart said he felt "that, for the show, you don't want to leave when the cupboard's bare. So I think it's a better introduction when you have something providing you with assisted fuel, like a presidential campaign." Stewart told Freeman that, contrary to some wishful thinking among liberals, running for elective office "is not my bag." 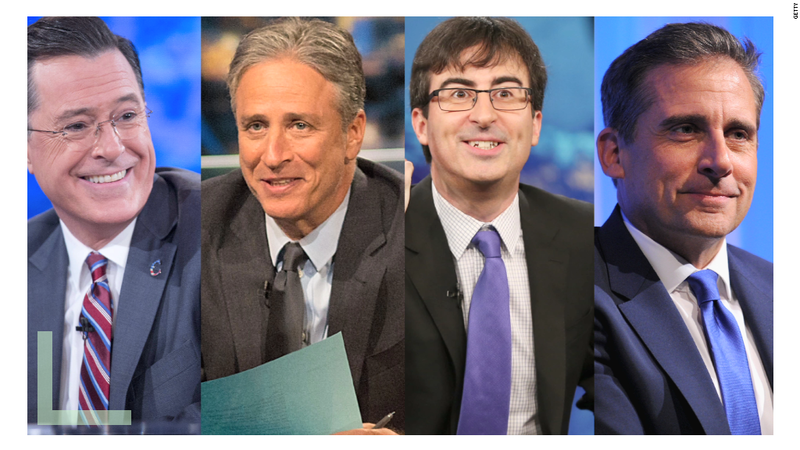 He has some other post-"Daily Show" plans -- "a couple of other projects on the burner." But he is staying quiet about those for now.